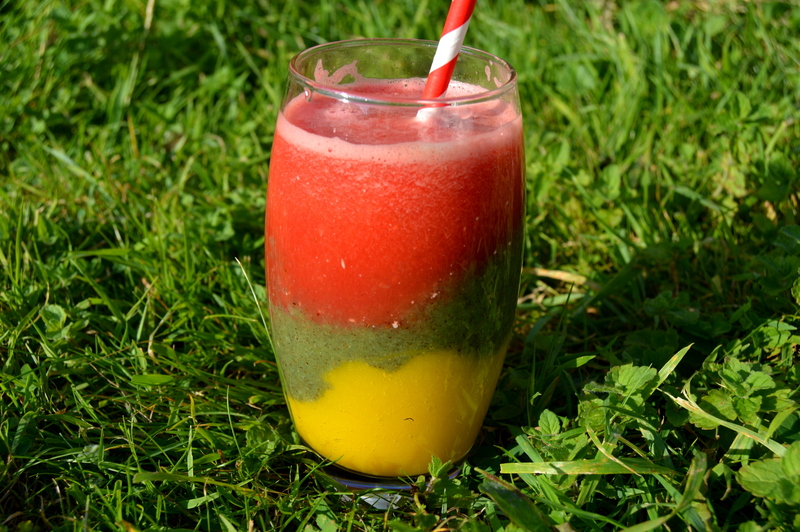 A pure fruit smoothie made from watermelon, mango and Kiwi. 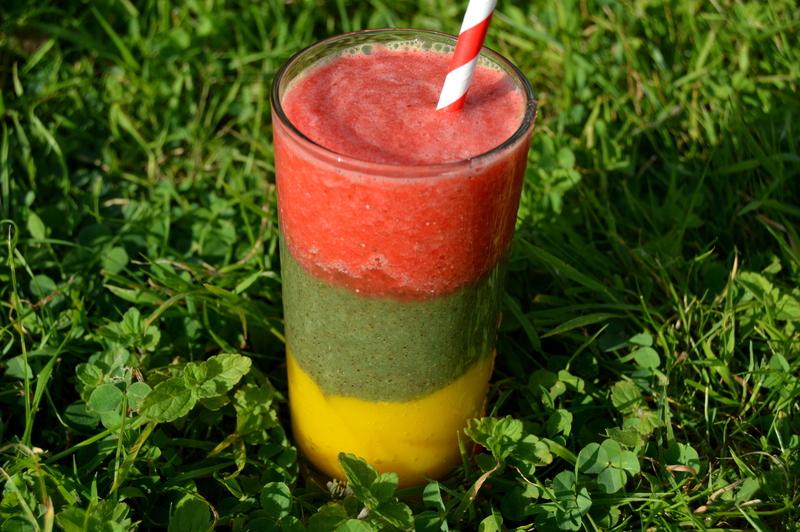 This traffic light fruit smoothie is easy to make and looks impressive. A great way to get a rainbow of different fruit into someones diet. Its important to eat a variety of different colour fruit and vegetables as produce of different colours usually has different vitamins and minerals. The only way you can go wrong with this is to not pour the fruit in the order of the thickness with the thickest first. 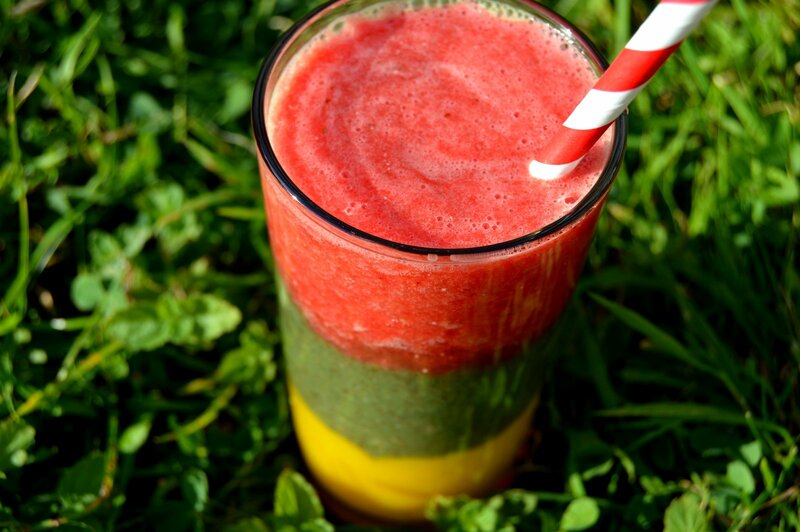 Start with thick mango, then kiwi and watery watermelon last. 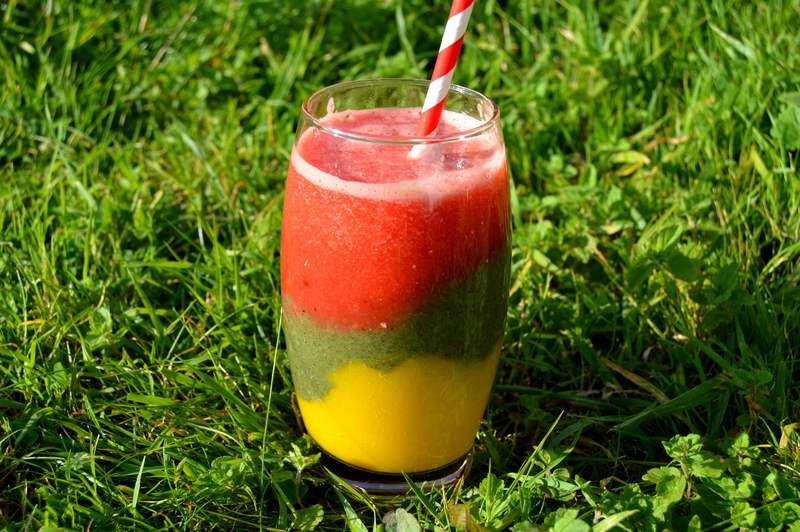 Drink straight away as blended fruit begins to oxidise and degrade after it’s been smashed together. Use a straw to let you drink a different flavour with every slurp. If you have a watermelon with immature small soft seeds these are fine to blend and will add nutrition. Pour into serving dishes starting with mango, then kiwi and finish with watermelon. If you want straight lines pour in carefully over a spoon. If you want random lines just pour in the serving glass.